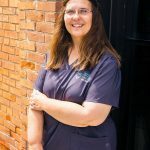 Stacy Jones, RDH has been a hygienist with our office for three years. She graduated from Kirkwood Community College. 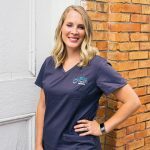 What she enjoys most about dentistry is building relationships with all of our patients. She is married to Kyle Jones and together they have two girls, Elizabeth and Cora. In Stacy’s free time she enjoys riding horses, camping being outdoors and baking cakes for special events.